Can Steve, a 52-year-old gamer from Australia take down Tiger Woods at his own game? 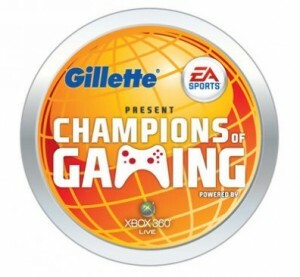 That’s one of the questions we answer when Spike broadcasts the Gillette/EA SPORTS CHAMPIONS OF GAMING Finals on Wednesday, February 18. The show features sports legends such as Woods, Derek Jeter, Reggie Bush, Denny Hamlin, and Orlando Magic All-Star Jameer Nelson. That “pro team” has a daunting challenge ahead of them when they face off against the 5 best gamers in Madden, NBA Live, FIFA, NASCAR, and of course Tiger Woods. CHAMPIONS OF GAMING is yet another video game special that we’re airing on Spike, and I’ll be curious to hear your thoughts. I’ve never been a big believer that “competitive gaming” will work on television, but this is the first idea that I thought could potentially translate to mainstream TV. Why? The focus of the show is about the drama that developers when pro gamers have to face off against their sports heroes. It’s amazing to see pro athletes – who normally have to answer to no one – go up against players who are geniuses at the video game version of sports these athletes dominate in real life. And some of these players are cocky about their skills. Our Madden NFL Champion is so confident he can beat Reggie Bush that he picks the worst team in the history of the NFL, the Detroit Lions, during the tournament. And then he says he’s going to beat Reggie by at least a touchdown! So while this show may feel like it’s about “competitive gaming,” It boils down to a really interesting social experiment between gamers and celebrity athletes. Let me know what you think of the show when it airs, Wednesday at 11:30 PM on Spike. This is just the first of many video game specials I’ll be creating with Spike in 2009.